PROBLEM: Remove 25 years of dirt and grim from Rapid Transit Car components. WABCO car coupler was sprayed with eOx Industrial, brushed with a soft brush and then wiped with a clean rag. 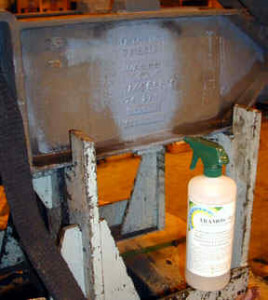 Tank was sprayed with eOx Industrial, let sit for 30 seconds, and wiped with a rag. All contamination was removed with no damage to tank or original paint.